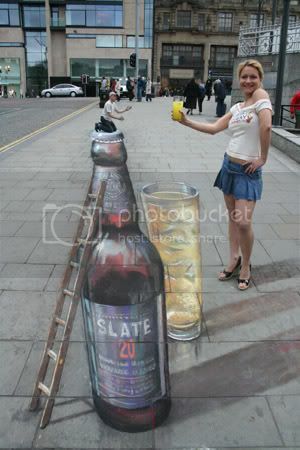 These unbelievable photos are chalk drawings done by Julian Beever. Beever uses his drawings to create an amazing 3D illusion. Scroll down slowly and stop at each new frame. Julian Beever is an English artist who's famous for his art on the pavement of England, France, Germany, USA, Australia and Belgium.